Two of Nickelodeon's most popular shows are returning to DVD with fun gift sets that fans won't want to miss! First, race into action with Blaze and The Monster Machines: Blaze of Glory, Nickelodeon's original DVD release of the hit preschool series. 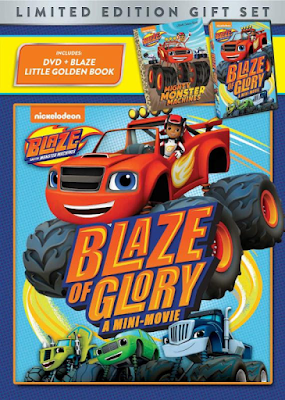 This gift set includes a DVD of the Blaze mini-movie and a bonus episode, plus a resized Blaze Mighty Monster Machines book. Fans can join Blaze and AJ on super-charged STEM adventures as they try to beat their rival Crusher. Also available as a gift set, is the number-one kids' TV on DVD franchise PAW Patrol. 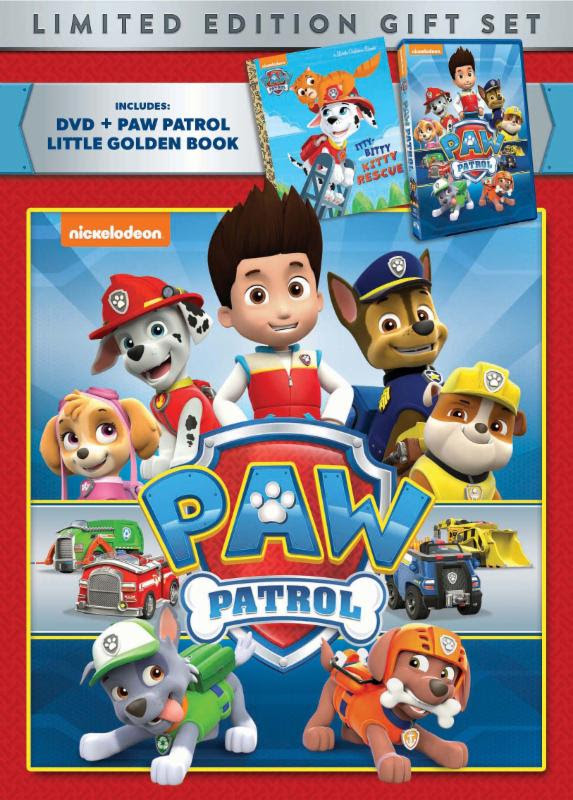 The pups make their heroic return to DVD with this gift set that includes the PAW Patrol Itty Bitty Kitty book. Fans will join their favorite four-legged heroes on high-stakes adventures as they protect the community of Adventure Bay. The DVD includes five episodes full of heroic rescues and challenges, as well as laughter and fun. Win: One lucky winner will receive Blaze and The Monster Machines: Blaze of Glory and PAW Patrol DVDs! The deadline for entries is February 23, 2017 11:59pm HST. If you submitted an eligible entry and it is chosen by random.org as the winner, you will be notified via email on or about (make sure your email address is in your profile or comment and be sure to check your junk/spam, etc. folders) and will have 3 days to respond. my nephew would like the dvds. I'd like to win because these are my grandsons' favorite shows and they would enjoy these DVDs! My Kids Love Blaze And Paw paTROL So Would Love To Win The DVDS For them. My twitter is @babylexi75 and instagram @urdopey76 and Facebook cris sasaki. I'd like to win because my nieces would love these! I would like to win because our Littles are huge paw patrol fans! I would like to win these for my niece. I would love to win it for my granddaughter. My grandson cannot get enough of Paw Patrol so these would definitely go to him lol. I'd love to win as it'd be fun DVDs for the kids to watch on road trips!